School Year Ambassadors planting coral bells in a formal garden. The School Year Program provides young people the opportunity during the school year to explore resource stewardship practices through a variety of educational workshops and hands-on field experiences. 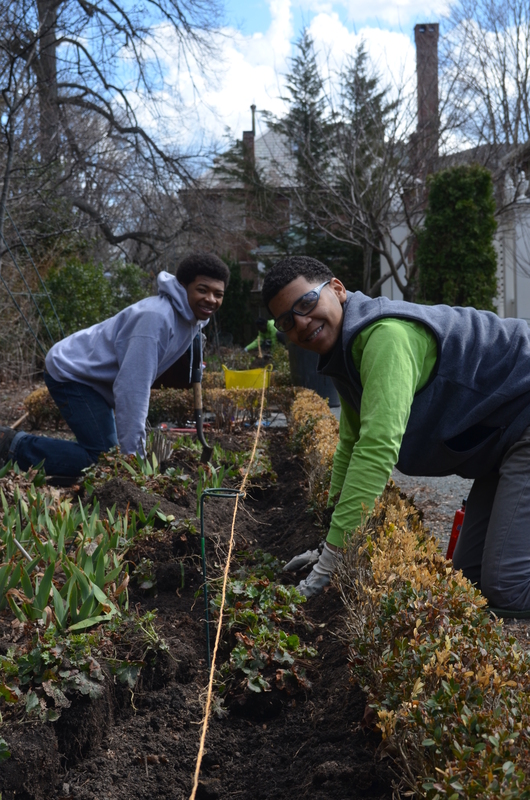 As School Year Ambassadors, youth provide support to Boston area parks and are engaged in training sessions to address on-going landscape stewardship projects. Throughout the year youth continue to build professional development skills and explore career and education pathways.